Homer, Alaska Sea Kayaking, Glacier Kayaking & Hiking Tours! Welcome to Homer, Alaska and Three Moose Kayak Adventures. 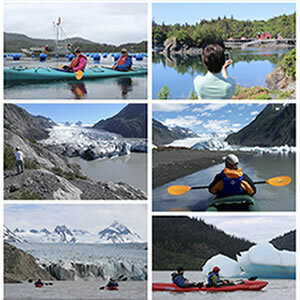 For over two decades we’ve guided Alaska sea kayaking and hiking tours. We offer several tours for all ages and energy levels. Its a trip you’ll never forget and no experience is necessary! Tours begin and end in Homer, Alaska. Our most popular trip! Enjoy a scenic boat cruise, guided hike, and kayaking with icebergs in a spectacular glacier lake. A casual paddle along sea cliffs and sea caves looking for otters and eagles; followed by a hike to beautiful Glacier Lake. A casual kayaking experience paddling the shores of beautiful Halibut Cove. Includes round-trip boat ride from Homer. A casual non-kayaking tour that includes a visit to Gull Island, Halibut Cove and a guided walk to beautiful Glacier Lake! Hideaway Cove Lodge, located inside Alaska’s first state park, offers private, modern cabins only accessible by boat! You won’t believe the beauty of our spectacular location until you see it for yourself. Our 5-star reviews say it all! Many thanks for a truly out-of-this-world experience! Your glacier kayaking trip was the best thing we did in Alaska and so much more than we expected. Thanks again Jordan for your patient instruction and interesting stories- this made the trip so much fun! ..we could not have been more pleased with an experience of a lifetime. Jordan was our guide and the passion for what he did and appreciation of the beauty came shining through. We shared a breathtaking day of adventure and natural beauty kayaking Grewingk Glacier Lake among the icebergs! His specific instruction and constant concerns for our safety were relayed with patience, and at every opportunity he shared his wisdom in points of interest on the lake and the trails.. We would highly recommend this incredible opportunity! Nice and beautiful hike and an even more breath taking experience kayaking to a glacier. Jordan was a great guide and safety conscious. It was a fantastic day. We were also fortunate enough to see a couple black bears. 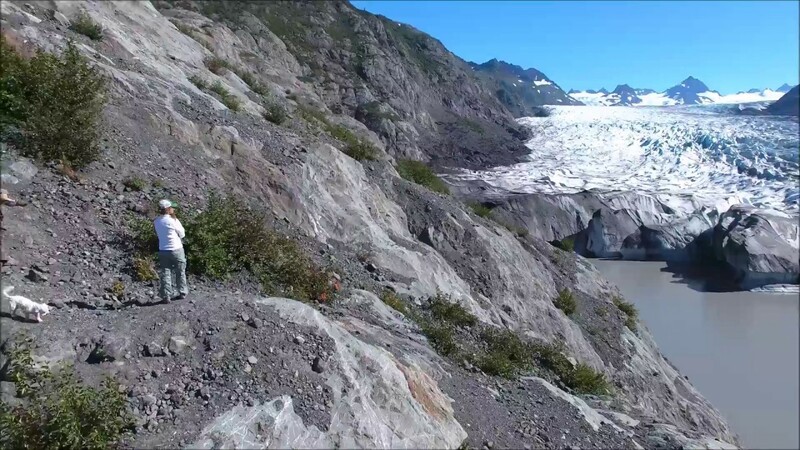 You will love this day — a good hike with spectacular views of a glacier – and a lovely kayak around Halibut Cove. But what made me want to write a review is how engaging Jordan, the owner, is. Spending the day with him and his family is a joy — and he puts a premium on safety. We were in good hands. Great trip with this family run outfit. Lots of fun. Nice hike and beautiful kayak and boat trip. Saw lots of wildlife and beautiful Glacier. We enjoyed an all day adventure that began with the hike through the hills to our inflatable two-man kayaks where we were able to paddle up to a glacier! It was a fantastic adventure and I’d like to return at this time stay at the hideaway Cove Lodge where guests told us of being entertained by a humpback whale.Our guide, captain JJ was very knowledgeable about the flora, fauna and the history of Alaska. We even spotted a mountain goat! We had an awesome hike/kayak trip with JJ, the owner of the lodge as our guide. One of his sons assisted us as well, and they did a great job.